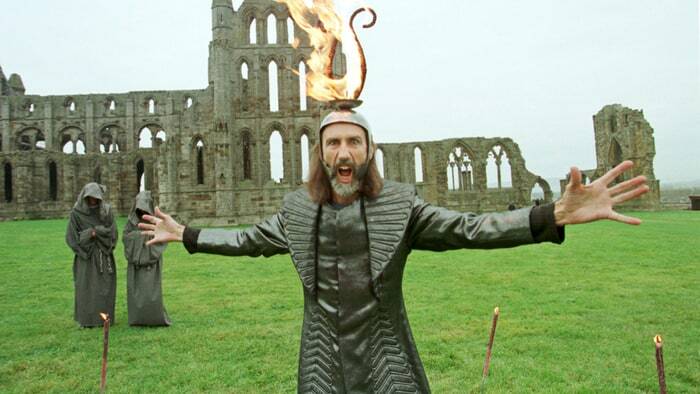 This Wednesday, iconic UK heavy psychedelic progressive eccentrics and shock rock pioneer The Crazy World of Arthur Brown will kick off their Zim Zam Zim US tour. Marking their first run of live performances since 1969, the band’s monumental trek will commence on February 15th in Los Angeles and end on February 25th in Austin. Support will be provided by Ohio rockers Electric Citizen, and shows will feature generational sonic offspring like White Hills, Acid King, Pallbearer, Danava, and Jex Thoth. Zim Zam Zim takes its name from The Crazy World of Arthur Brown‘s latest album, released in 2014 on Bronze Rat Records. For a list of the complete tour dates and for all things Arthur Brown go to the official The Crazy World of Arthur Brown site and official Facebook page.